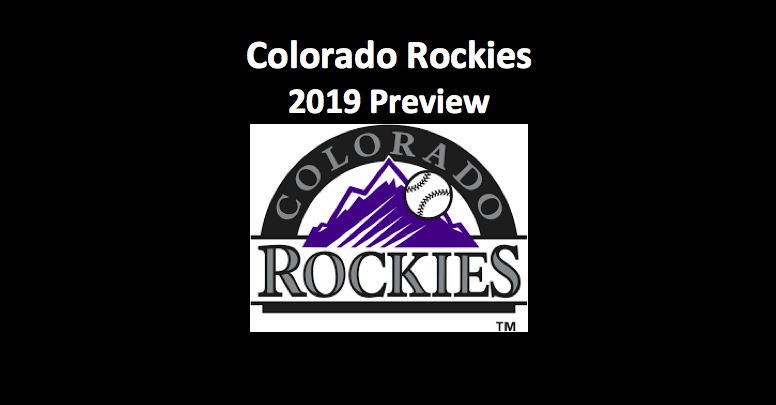 Our 2019 Colorado Rockies preview asks can anyone say “wild card?” the past two seasons, the Rockies have won enough games to be in the playoffs. In 2017, with an 87-75 record, they finished third in the NL West and snuck into the postseason. 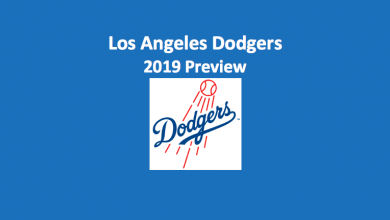 Last year, the Colorado Rockies (91-72) won a respectable number of games, finished second to the Los Angeles Dodgers, and earned a wild card berth. 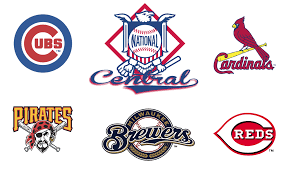 This season, with much of its pitching staff returning, including premium closer Wade Davis, and some solid hitters on deck, this ball club will be competitive. Here’s how our Colorado Rockies preview sees this team shaping up. Last year, the bullpen made 51 saves (3rd), which was a huge boost to this team. Those saves were especially helpful because the Rockies were ranked 20th in the majors in ERA with a 4.33 mark. Note, the ERA for starters was substantially better than relievers. Starters posted a 4.17 ERA, while the bullpen came in at 4.62. However, late inning relief came through. Opposing hitters averaged .250 (17th) versus Colorado pitchers. The staff’s 91 wins tied them for eighth. The rotation offers two guys who could be in the number one spot. We’re going with Kyle Freeland (17-7 W/L, 2.85 ERA, 1.25 WHIP) as the first man in and German Marquez (14-11 W/L, 3.77 ERA, 1.20 WHIP) as the second. Freeland, a lefty who was fourth in Cy Young balloting last season, gave up three or fewer runs in 29 of his 33 starts. Before the NL tie-breaker game, Marquez allowed three or fewer runs in a dozen consecutive starts. In 2018, he set a franchise record with 230 strikeouts. Our Colorado Rockies preview notes that one of the reasons this team did so well had to do with the endurance of its starters. The Colorado rotation was responsible for 932 innings-pitched, which topped the NL. Righty Jon Gray (12-5 W/L, 5.12 ERA, 1.35 WHIP), who looks to be third in the rotation, needs to be more consistent. He has fine stuff and possesses the potential to be an ace. Fourth and fifth in the rotation belong to lefty Tyler Anderson (7-9 W/L, 4.55 ERA, 1.27 WHIP) and righty Antonio Senzatela (6-6 W/L, 4.38 ERA, 1.37 WHIP). Anderson can generate a lot of grounders and Senzatela has a fastball that he ably places. He’s also doing well in developing his secondary pitches. The bullpen includes workhorse Seunghwan Oh (6-3 W/L, 2.63 ERA, 1.01 WHIP). Oh, who made 73 appearances in 2018, shreds right-handed batters. Righty Scott Oberg (8-1 W/L, 2.45 ERA, 0.97 WHIP) did have a sound ERA in 2018, but he needs to cut down on the number of inherited runners he allows to score. Last season that number totaled a MLB-high of 25. In his first season with the Rockies last year, closer Wade Davis (3-6 W/L, 4.13 ERA, 10.6 WHIP) set a career-high mark on saves (43), but he also achieved career-highs in blown saves and losses with six in each category. Statistically, when it came to offense last season, this team was primarily ranked somewhere between sixth and eighth. They were fifth in slugging percentage (.435) and 13th in on-base percentage (.322). In batting average (.258), total bases (2412), and OPS (.757), the Petco Park team was sixth. Our Colorado Rockies preview observes, they were seventh in runs (780) and RBI (748) and eighth in homers (210) and stolen bases (95). The Rockies had a fairly formidable attack. At the top of the order is outfielder Charlie Blackmon (.291 BA, 70 RBI, 29 HRs). The homer- and run-machine has been good for at least 100 runs and 25 homers in each of his last three seasons. Next is Daniel Murphy (.299 BA, 42 RBI, 12 HRs). Murphy, who plays first, has been a .299 hitter over his last 10 major league seasons. For the past four years, third baseman Nolan Arenado (.297 BA, 110 RBI, 38 HRs) has been smacking the cowhide off the ball. He hits third, while right field David Dahl (.273 BA, 48 RBI, 16 HRs) bats fourth. Dahl came up from Triple-A last season and in just 45 games was good for 35 RBI. The second-half of the order includes shortstop Trevor Story (.291 BA, 108 RBI, 37 HRs) and outfielder Ian Desmond (.236 BA, 88 RBI, 22 HRs) batting fifth and sixth. Story stole a team-best 27 bases, while Desmond stole 20 more. Garrett Hampton (.275 BA, 4 RBI, 0 HRs), who played 24 games with the team in 2018, got on base close to 40 percent of the time. Catcher Chris Iannette (.224 BA, 36 RBI, 11 HRs), who hits eighth, was streaky but made some significant contributions in the team’s September run. Team defense was overall good, as Colorado ranked fourth in fielding percentage at .988 and third in double plays with 162. Iannette came back to the Rockies from the Diamondbacks last season. His metrics are middle-of-the-road, but his pitch-framing has improved significantly. Third baseman Arenado is one of the best defenders in the game. He’s won six-straight Gold Gloves. At first, Murphy offers adequate support. Story, who finished eighth in MVP voting and enjoyed his first All-Star season in 2018, proved to be a top defender at short. Second looks to be a platoon position with Hampton getting a chance to prove himself. Blackmon plays a decent center but may be moved to left. Desmond, who has more range, would shift to the middle outfield spot. Dahl, who has the skill to play any of the three outfield positions, will spend most of his time in right. GM Jeff Bridich has been able to amass a host of promising pitchers, which should keep this team well-supplied for the long-haul. Manager Bud Black does a fine job of ensuring the clubhouse stays on an even level. He’s done well in mentoring young hurlers. Our Colorado Rockies preview finds that overall, this team’s front office and coaching staff are first-rate. 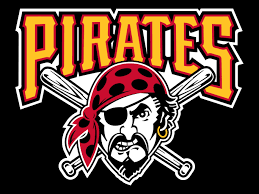 This team has a group of fine hitters who can push the ball out of the park and solid pitchers who can keep it inside. 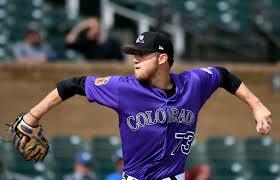 Our Colorado Rockies preview certainly sees this club as being highly competitive in the NL West. They do have a real chance of taking down the division. 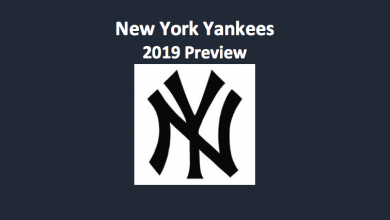 Our 2019 Colorado Rockies preview would be surprised if, in the end, this team did not at least earn a wild card berth. They’ve got a lot going for them in every area.